I have this dream that someday I will post recipes in a timely fashion for various holidays. 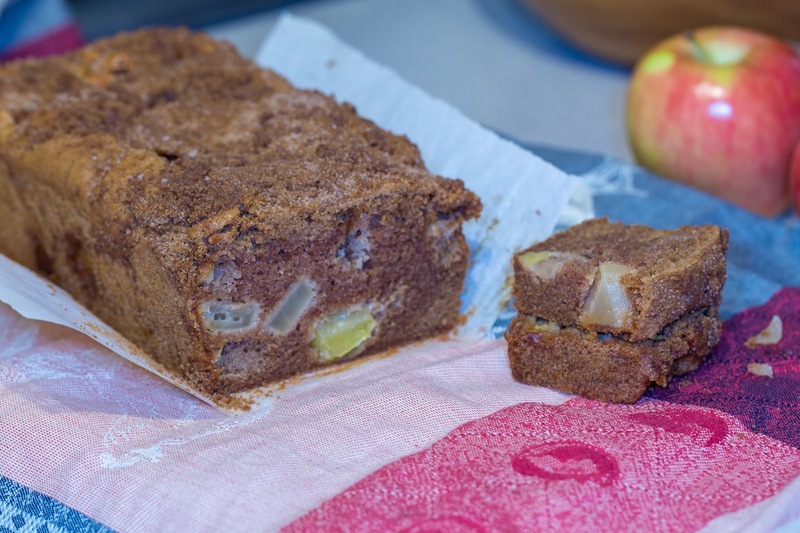 In fact I had made this apple cake recipe a few times last summer, in anticipation of sharing it in time for Rosh Hashana 2016, and then somehow that holiday came and went. However the good news is that means I had pictures and a recipe, ready to go for this year. Even so, I still am only managing to post this the night before Rosh Hashana, but better than never! 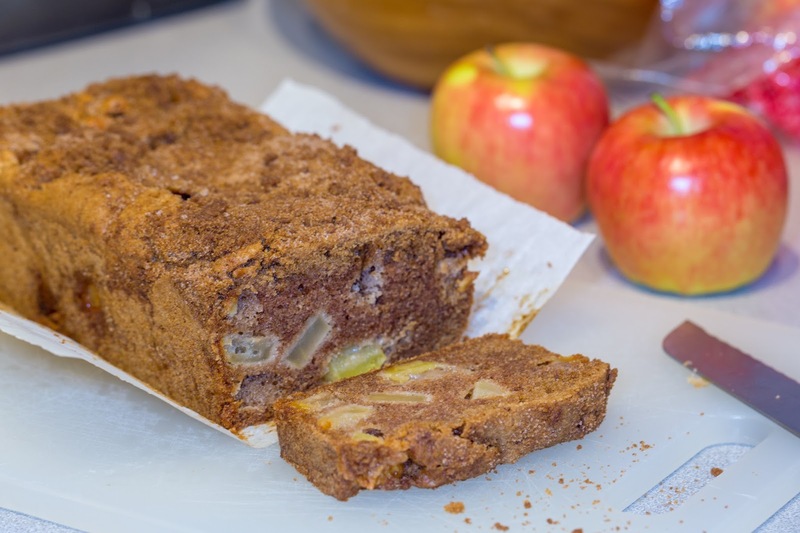 So here is one of my favorite apple loaf/cakes, great to help celebrate a sweet new year, or any time you have some apples that need a new home. During the year I often make it in two loaf cakes (you can freeze one! ), but for the holidays I'll make it in a round bundt tin. Wishing everyone a sweet and good new year! L'shana tova! Red velvet cake is one of those things that is wildly popular, yet I've never really understood the draw. I've always cared more about taste then looks, so the excessive red coloring seems strange to me. It also claims to be chocolate flavored, yet allows only a scant amount of cocoa to make sure the red color shines through. However I find myself making it every few years by request (often for birthdays). 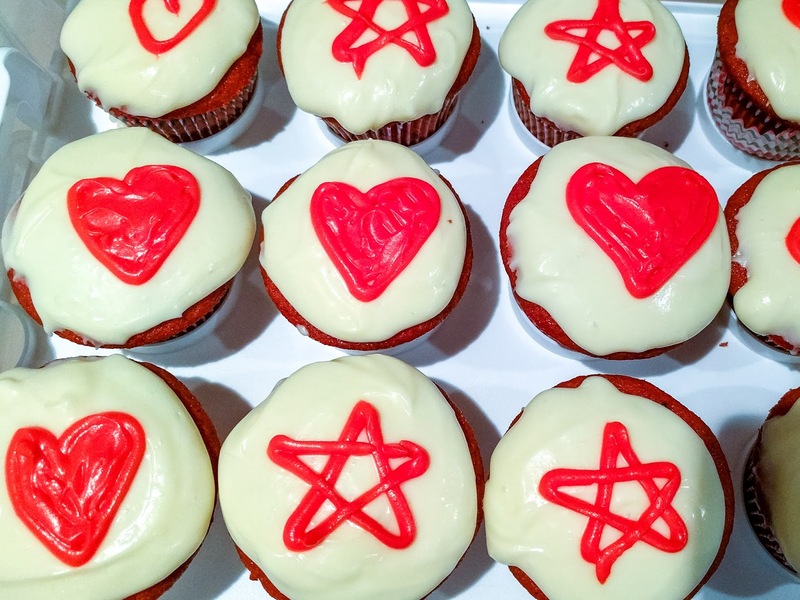 This recipe was very popular last week, especially the cream cheese frosting. 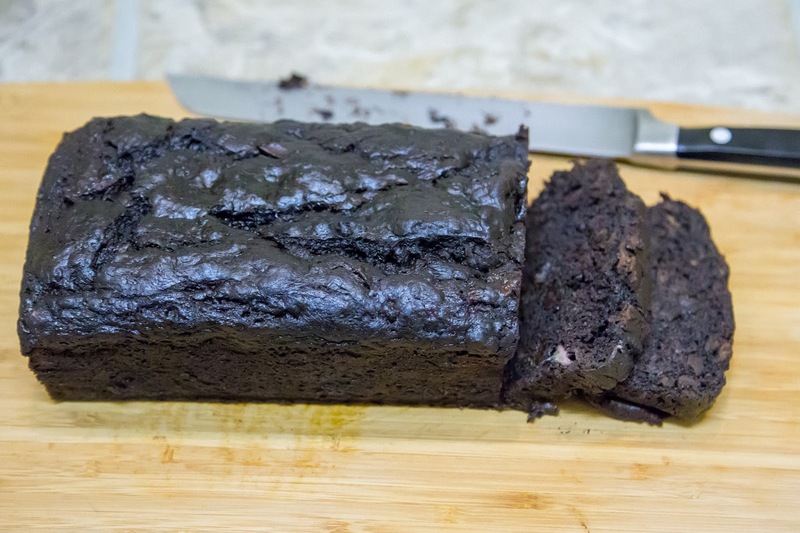 It makes a nice light and fluffy, barely chocolate, flavored cake. 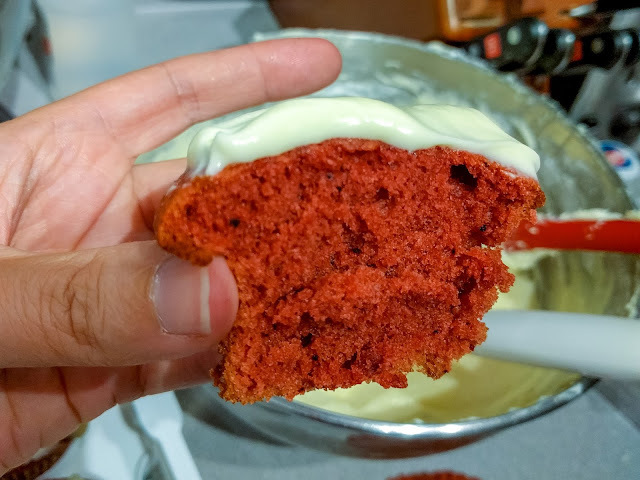 For the frosting I go heavy on the cream cheese, giving a tangy frosting that is not too sweet. When I initially started this blog I aspired to have my own mini-version of the food blogs that had inspired me, like Smitten Kitchen or Orangette. I aimed to only post recipes that I had adapted myself and that I had made at least 2 or 3 times in that format, to ensure they were high quality recipes accompanied by quality photos to lure you in. However these goals along with my work schedule, meant that I found myself posting a new recipe every other month or so, even though I bake 2-3 times a week. As coworkers recently kept asking me if a recipe was on my blog for my most recent creation, I realized that maybe I should change my blogging habits. So I am going to try out a new category of blog posts called "things I baked." These will be recipes that I haven't had time to perfect and maybe only tried once. They will likely be accompanied by photos from my phone/ipad, in whatever lighting is available as I pull them from the oven. But it means I will hopefully post more frequently, allowing us to find out if sometimes quantity is better than quality :). Pour the milk into a small bowl or glass measuring cup, then add the vinegar. Let this sit and curdle while you start making the batter. (This is homemade buttermilk). Add eggs and vanilla, and mix well, followed by the cocoa. Dissolve your food coloring in a few tablespoons of your milk (prepared above), then add it into the batter. Add more food coloring if needed to make the desired color. Add half the dry ingredients to the batter and mix well, then 1/2 the buttermilk (milk/vinegar) and mix well, then repeat with the rest of the dry then wet ingredients. It may look curdled during this process, but it then should come together. Fill cup cake tins 3/4 full. 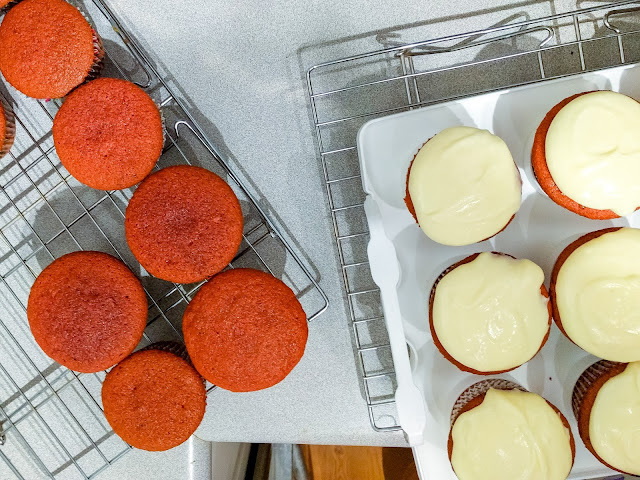 Bake for 25-30 minutes, until the cupcakes spring back when pressed gently with your fingertip. Cool on a wire rack. Mix the cream cheese and butter well with an electric beater (or by hand), till soft and will mixed. Once your cupcakes are cooled - frost them generously and enjoy. Another year is flying by and it is somehow already that time when the grocery stores are filled with delicious tempting easter chocolatey delights. It used to the cream eggs that would lure me in, however one of my friends in vet school let me in on the Cadbury mini chocolate egg secret (I blame you Hannah!). Last month I somehow convinced myself I should save money by buying a large bag instead of the smaller snack size bags. Which shockingly led to me consuming way too many each night after work. So in my usual logic, I figured I should bake them into cookies to limit my consumption. 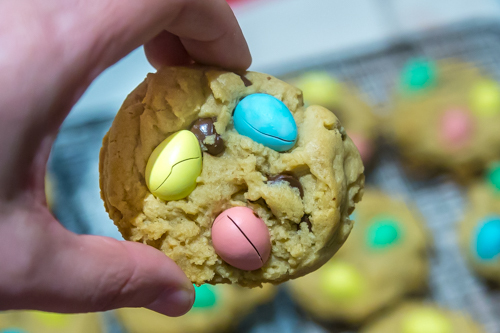 While I'm grateful that decision led me to a new delightful cookie recipe, it also led to buying another bag of eggs (research and development! ), which doesn't help in my laughable quest to eat healthy. This recipe is a mild adaptation of my new favorite chocolate chip cookie recipe. (I seem to switch up my recipe each year...). The recipe is a winner because it has a higher ratio of chocolate chips to batter, and provides a nice thick chewy cookie. I also added in a dollop of peanut butter - which adds a complexity to the flavor of the cookie without overpowering it. While you can taste its presence, it is mild enough that even the Europeans at work approved (they tend not to like peanut butter). 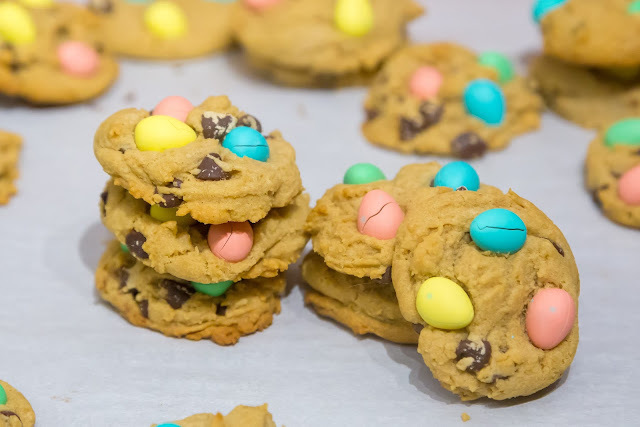 Of course it is the baked mini eggs on top that make this cookie amazing and so popular. I suspect this would be a good cookie base for other candies as well (peanut butter M&Ms sound delicious! ), but I doubt I will try that till after the easter season has passed. Double Chocolate Banana Bread - Gluten Free! The original version of the recipe, from smitten kitchen, is one of those recipes that instantly becomes a classic. You take one bite, then just want more and more. 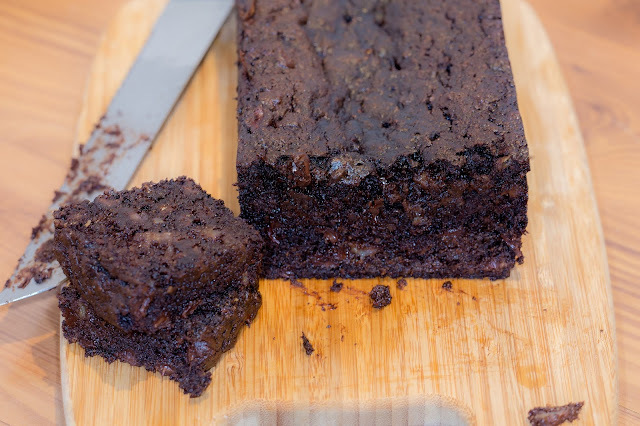 It is a perfect combination of chocolate (in two forms) with the moist banana that makes you addicted. And before you know it, you end up buying 3 extra bananas each week, let them brown, and make it again, week after week. I think I made this 4 times the first month I discovered this recipe. Occasionally one will stumble upon a chocolatey recipe that is so perfect, that even the addition of peanut butter does not improve it (for example slutty brownies). Well, this is one of those recipes (pictured below with pb). I predict it will soon become your new standard for pot lucks, book clubs, or anything other event.